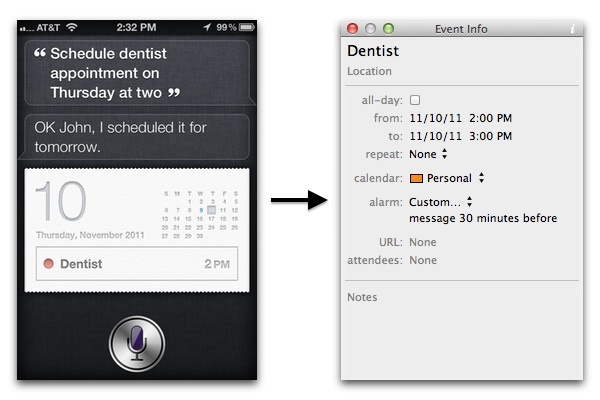 Siri is a great tool for creating Events and To Dos on the iPhone 4S. And since the iPhone syncs with BusyCal through iCloud, you can use Siri to create Events and To Dos in BusyCal, including repeating To Dos and Location Alarms. 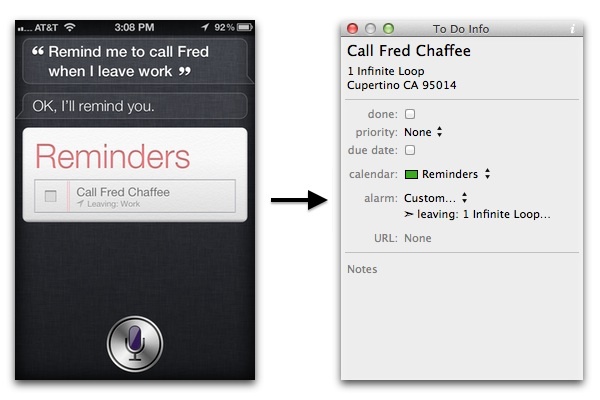 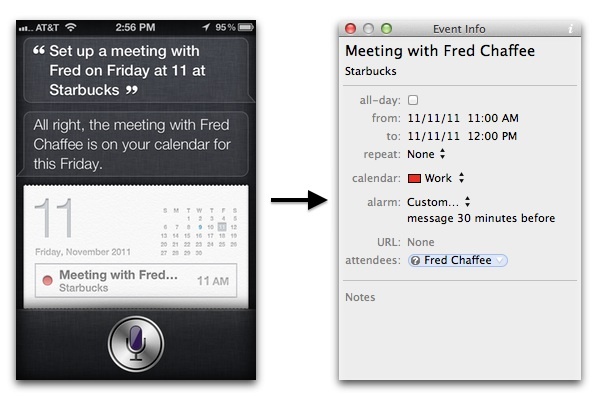 Here are some examples of how to create Events and To Dos with Siri that sync with BusyCal. 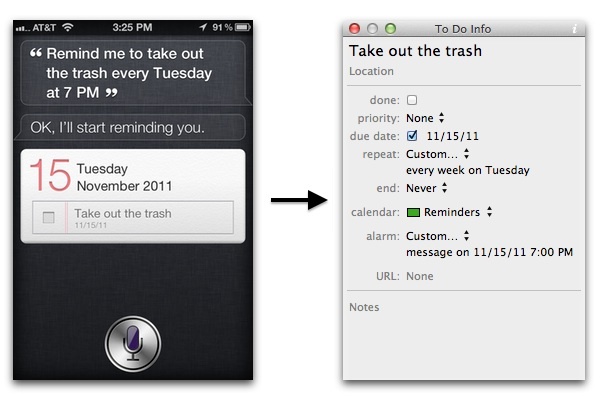 "Schedule dentist appointment on Thursday at two"
"Set up a meeting with Fred on Friday at 11 at Starbucks"
"Remind me to buy tickets tomorrow at 10"
"Remember to submit expense report"
"Remind me to call Fred when I leave work"
"Remind me to take out the trash every Tuesday at 7 PM"
You can create different To Do lists for different tasks, such as a Shopping list. 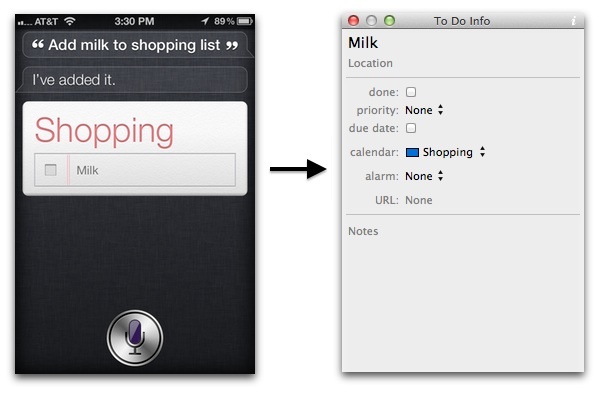 To create a new list on your iPhone, tap the List button > Edit > Create New List, and name it Shopping. 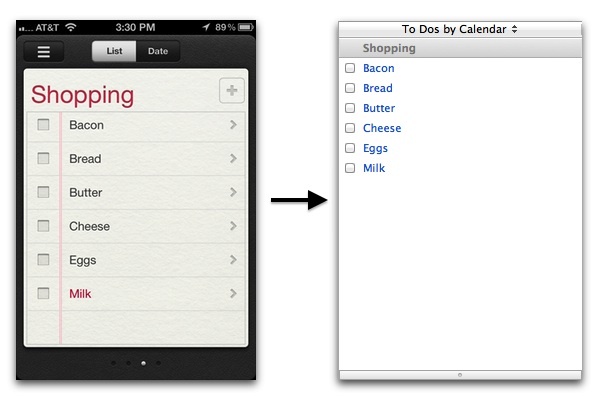 "Add milk to shopping list"
Lastly, you can share calendars and to do lists with other iCloud users. 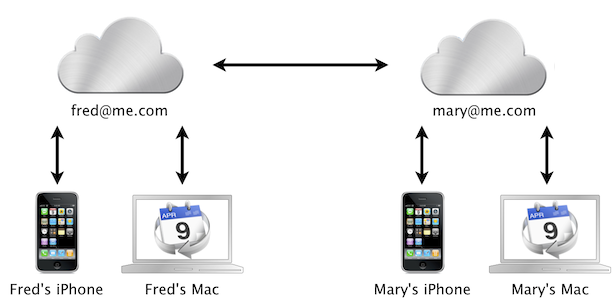 You could share the Shopping List with your spouse through iCloud, so whoever goes to the grocery store next will have an up-to-date list of items to purchase.